The PC Gamer Weekender is next week! The awesome new PC Gamer Weekender takes place next weekend in East London. It's a weekend dedicated to PC gaming, packed with socials, competitions, tournaments and gaming heroes. 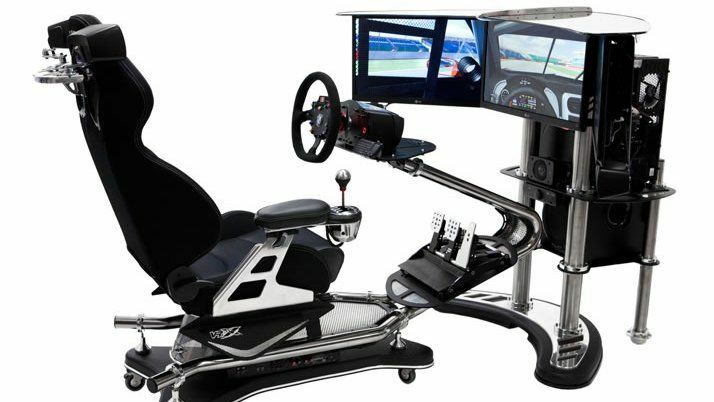 Retailer Scan will have a shop there so you can snap up ome deals on hardware, and try out the amazing full-motion £17,000 ($22,000 USD) VRX Racing Simulator. Three screens under a glare-eliminating canopy show the action, and a surround sound system gets you close to the roar of the engines.The chair, wheel and pedals are secured to a carbon fibre chassis. The UK's largest PC gaming floor will give you first play on the latest triple A and indie games, many pre-release and exclusive. There'll also be plenty of competitive gaming and stages hosted with dev interviews and reveals. So far it's been announced that Dark Souls 3, Total War: Warhammer, Street Fighter 5 and Umbrella Corps will be available on the show floor. More will be announced soon! There are also a number of zones from the bigger publishers where they will be showing their games, such as the Sega Zone, Capcom Zone, Bandai Namco Entertainment Zone and The Wargaming Bunker. And when you're not gaming, we've got all the gear and workshops you need to build your dream gaming machine. You'll be able to turn your own PC into the ultimate gaming machine with the latest kit and components with some exclusive show offers. You can book PC Gamer Weekender tickets here - use code T320 for 20 percent off.Tickets come with a free Steam key for a game, courtesy of Bundle Stars. What are you waiting for? Plus don't forget to check out our guide to the best gaming PCs.